CSIR-Central Food Technological Research Institute, is one of the constituent laboratory under the aegis of the Council of Scientific and Industrial Research. It was opened on 21 October 1950 in Mysore, Karnataka. Applicants who have completed BE/ B.Tech / M.Sc or equivalent from a recognized Institute for CFTRI Recruitment 2019. 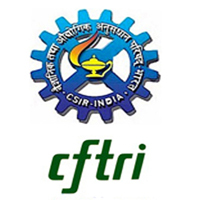 Eligible & Interested candidates can Download Notification From Official website page at www.cftri.com CFTRI Recruitment 2019.